Today i made this Egg masala using coconut and fennel seeds paste.It came out really well.Its quite easy to prepare.It can be serves with rice or chapati.Here goes the recipe.. Boil the eggs 7 Min’s.Keep aside. Heat a Pan with oil and fry mustard seeds, fennel seeds, chopped onions, chopped tomatoes and curry leaves . Add chili powder,coriander powder,cumin powder, turmeric powder,ginger-garlic paste and required salt one by one in order and saute well. Add grated coconut paste and cook for 5 Min’s or till oil separates from the gravy. Add egg slices and and pour 2 cups of water and close the lid of the pan. Cook it for 5 minutes. Then remove the pan from the flame and keep it aside. Add chopped coriander leaves and lemon juice and cook for 2 minutes. Serve hot with rice or chapati. Perfect accompaniment with chapathi's, looks very delicious. 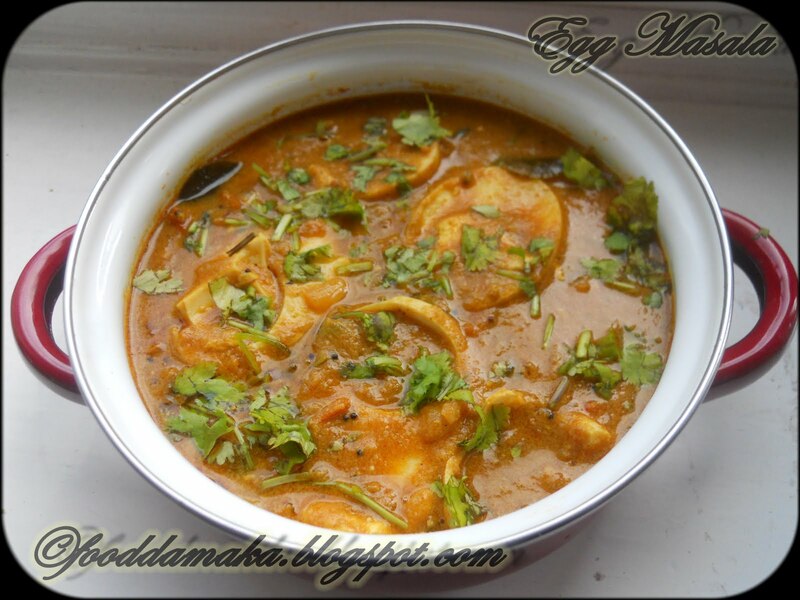 lovely and yummy egg masala to go with rotis. wow too good this is perfect for indian breads.. love it.. Very tempting looking egg masala. Looks delicious. 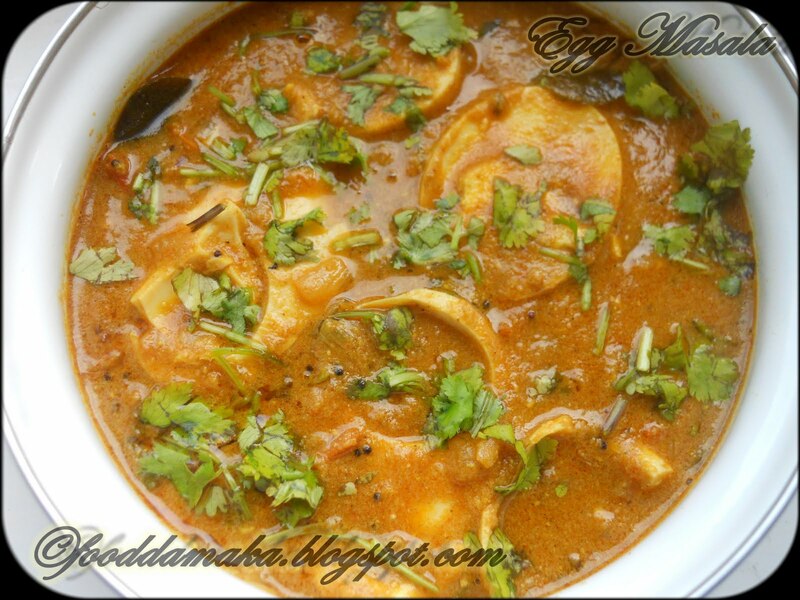 Mouthwatering here, excellent egg masala Pavani..
egg masala is one of my favourites anytime…just looks delicious and mouthwatering.